Public cloud environments offer distinct business advantages, but they also introduce new security challenges. Before you migrate your data and applications to a public cloud, what should you know in order to stay safe? 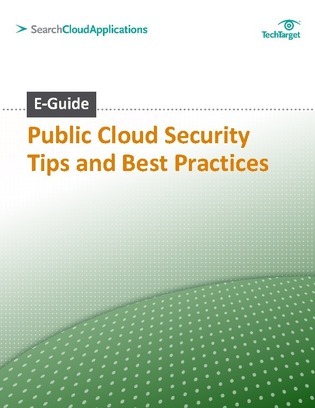 This expert E-Guide counts down 10 ways to keep your applications safe in the public cloud, and outlines key strategies and best practices for ensuring data and app security. See how you can start on the road to public cloud success by reading on now.